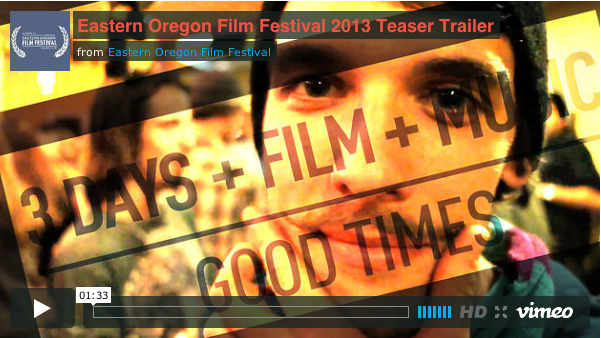 Eastern Oregon Film Festival is excited to start spilling our guts about the great program in store for 2013. We will be releasing bits and pieces of event information throughout the first of the year and then unveiling our full line up of films, music, workshops, and special events for the February 28th – March 2nd fourth annual Eastern Oregon Film Festival in La Grande, Oregon on January 16th at our official program and festival pass release (details coming soon). Below is the teaser trailer for this year’s fest, put together by Cold Coffee Media with music provided by Hillfolk Noir. Happy holidays. Previous Holiday Updates and ways to get involved!